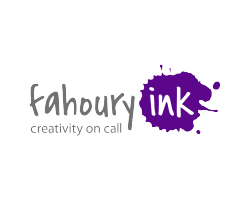 Fahoury Ink was founded with one goal in mind — to save the world (aka your brand) from the scourge of bad content. Off-the-mark messaging. Dry, dull jargon-speak. Pointless, poorly crafted information that pushes prospects away rather than draw them in. In an ideal world, marketing paves the way for sales. That means if your marketing isn’t helping, it’s hurting. And we’re here to help you fix that. We’re awesome at transforming chaos into clarity. Helping you turn a bunch of random factoids into a compelling infographic. Identifying what makes your top salespeople so good, and turning it into a story anyone can tell. Organizing and leveraging the content assets you didn’t even know you had. Whatever your growth strategy, we’ll help you make the most of your content marketing investment — so you can maybe get there a little faster.